I just posted the following on my Facebook page....check out the UPDATE in the post to find out what history in MLB the Houston Astros have accomplished today. 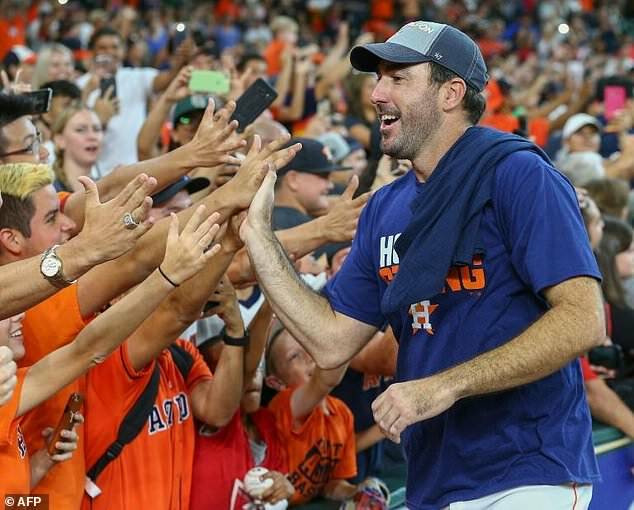 "Wow Wow - After facing 3- 100+ loss seasons just a few years ago - for the first time since 2001-the Houston Astros (who have been to the World Series one time- but never have even won 1 World Series game in their history) - have just clinched the AL West Division title! UPDATE: I just found out that the Houston Astros made history today by being the first and only team in MLB history to win a division title in 3 different divisions. The National League West, National League Central and now American League West." Of course, to make that history we [Houston Astros] had to have our team moved to three different divisions. 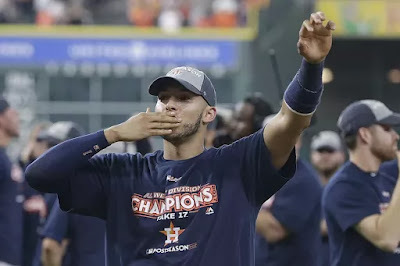 We as Houston fans can take that in two positive ways [I won't get into any negative ways-that probably include the real reason we were moved]: 1. the divisions we were moved to lobbied to have the Astros in their division because they loved our team; or 2. The teams in the divisions we moved from lobbied to have us moved out of their division because they were afraid of playing the juggernaut Astros so many times a year.